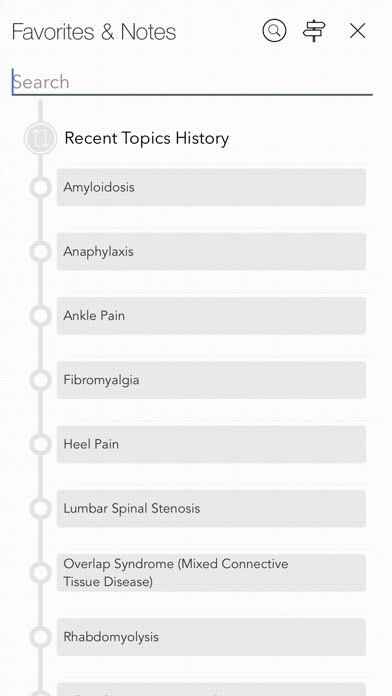 Based on the McGraw Hill Diagnosaurus 4.0 with Over 1,000+ medicine & surgery differential diagnoses. Sign & Symptom index. Disease Index. 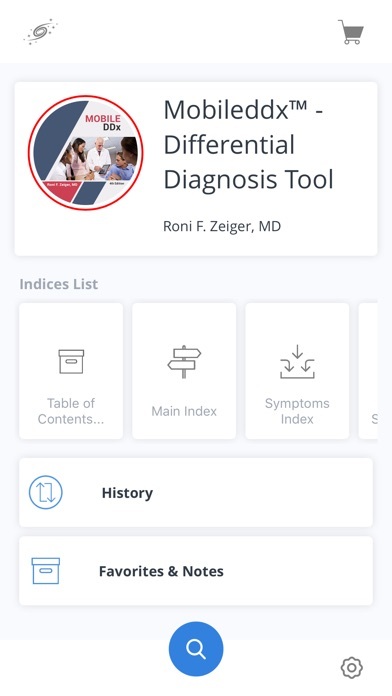 Download the FREE app and view selected topics (Approximately 10% of the content is viewable in the free app and tapping on the locked topic will launch the in-app purchase screen). 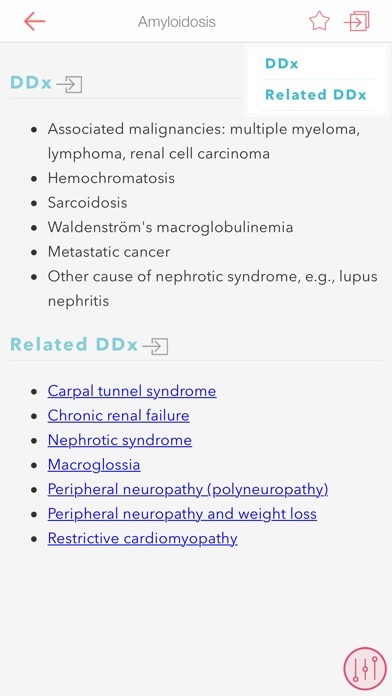 ABOUT: MobileDDx™ - Pocket Differential Diagnosis Publisher: McGraw-Hill Author: Roni F. Zeiger, MD (Medicine), Gerard M. Doherty, MD (Surgery) FULL DESCRIPTION: Special offer: For a limited time, get the MobileDDx Differential Diagnosis Tool for only $4.95 (a $19.95 value!) This authoritative, quick reference tool helps you make accurate, informed and confident differential diagnoses at point of care. 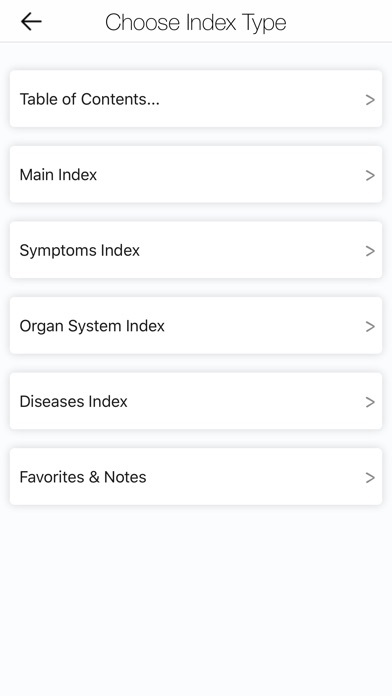 With MobileDDx™ you can choose to explore topics by organ system, symptoms or diseases only, or search across all topics. 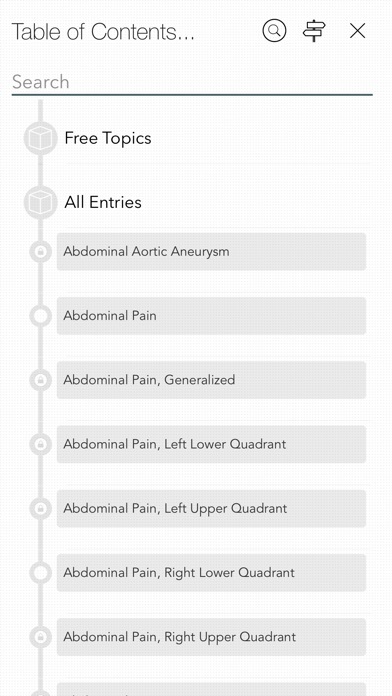 For example, if you wish to review the causes of a patient's chief complaint, simply select the symptom or sign from the main index. 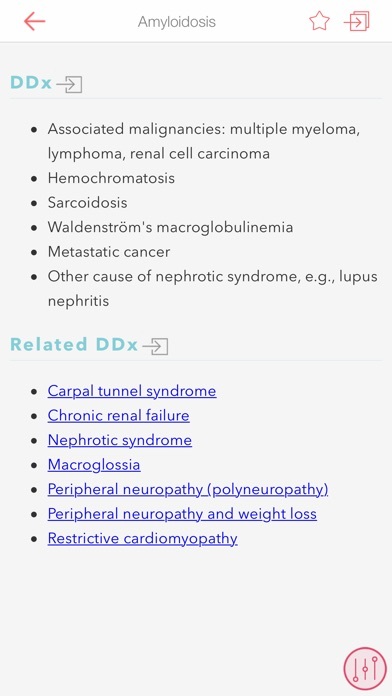 If you have made a diagnosis and wonder what other disorders to consider, select your diagnosis from the list to see its differential diagnoses. Includes over 1,000 medicine and surgery differential diagnoses derived from the most trusted Current Lange series. 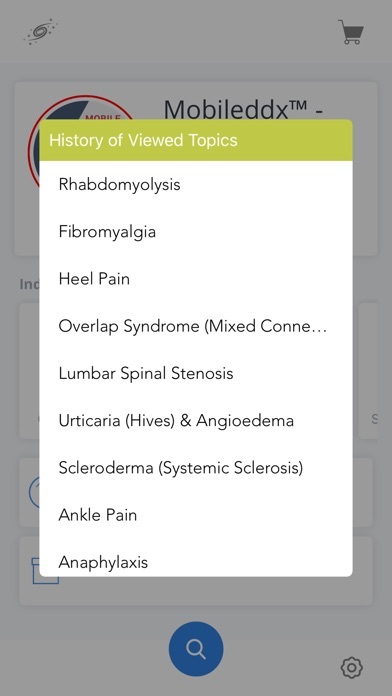 And only with Skyscape, any MobileDDx™ differential diagnoses topic can be quickly and easily cross-indexed to related drug, disease or diagnostic topics across your entire mobile reference library! SPECIAL FEATURES: Locate a disease, symptom or medication in the fastest possible manner: - Use "Spotlight Search" from Home screen - Tap and Hold launch icon to open Last Topic, History, Favorites .. - Navigate using multiple indices - History to open frequently visited pages - Bookmarks NEVER FORGET ANYTHING: Mark topics with relevant information: - Rich-text notes - Voice memos - Annotations with scribble, doodle or text You choose the method to note this regardless of the context you are in to ensure that the important facts are available whenever you access the topic, whether it is tomorrow or six months from now.